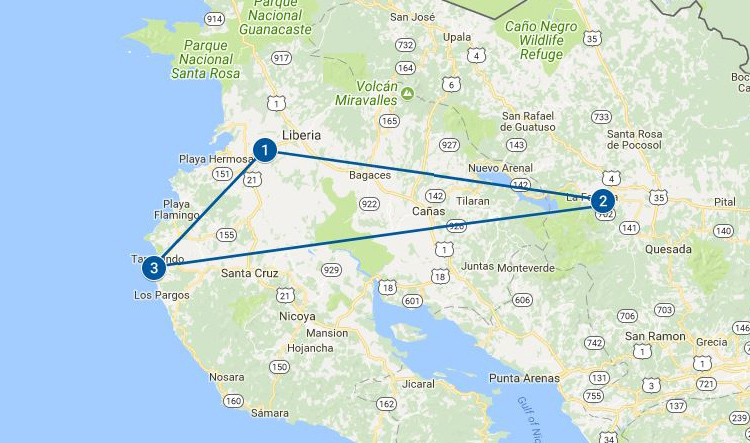 A week of marvelous memories in Costa Rica! 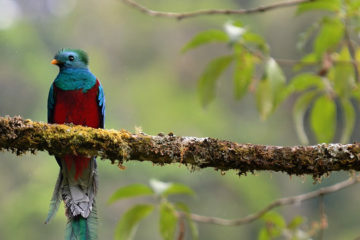 Get in touch with nature and enjoy many adventures at the tropical rainforests of Costa Rica. The journey will start in Liberia, where our representative will welcome you at the airport and will transfer you to your hotel in La Fortuna town, home of the impressive Arenal Volcano. 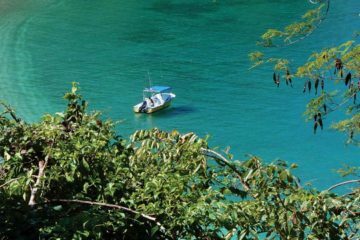 Enjoy the adventures in the lush rainforest, and continue afterwards to the exotic North Pacific Coast, to Tamarindo Beach. Relax at the North Pacific Coast, and enjoy an unforgettable afternoon sailing. 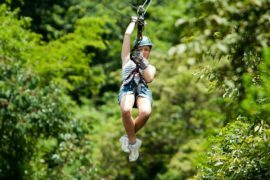 From the adventure of the canopy tour to the kayaking at the Arenal lake, this program is perfect to experience the “Pura Vida” lifestyle of Costa Rica. – Children policy: maximum 2 children 9 years old or under sharing room with 2 adults. 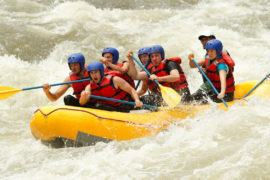 Due the nature of the activities of this program, this itinerary is available only for children 7 years old and above. – Guarantee deposits may be required to confirm the program. 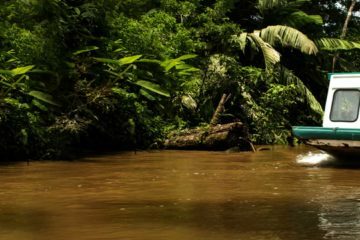 After your arrival at the International Airport of Liberia, your driver will meet you at the arrivals area and will transfer you to the hotel in La Fortuna. Prepare for three nights at La Fortuna town. Enjoy breakfast at the hotel. 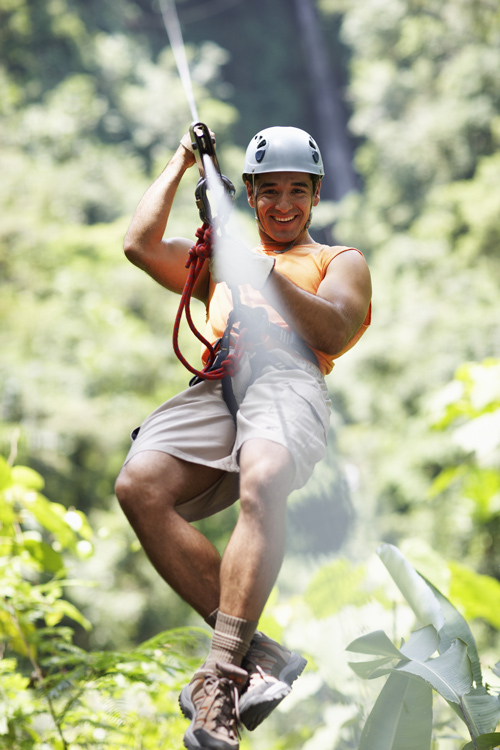 Continue to enjoy the thrill of the canopy tour, and fly from tree to tree over the rainforest. After you gear up and receive the safety instructions, it’s time to enjoy the adventure. Afterwards, return to the hotel and enjoy time for leisure. Wake up for a fantastic experience. 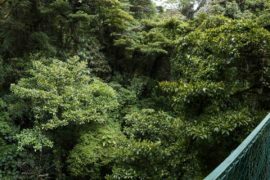 You will enjoy a biking and kayak tour combination, where you will have the opportunity to admire the beauty of the Arenal Volcano and the Arenal Lake. 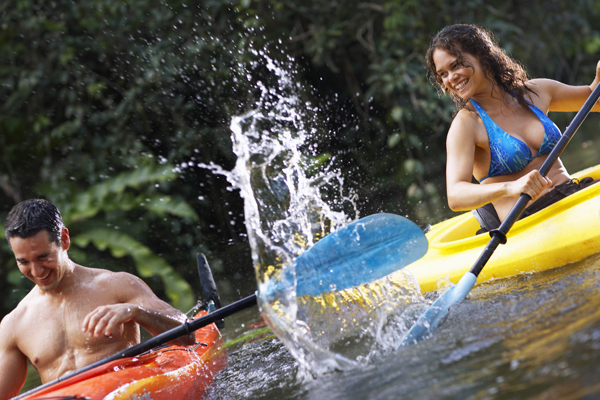 Pedal and paddle are a perfect match for an incredible adventure. Afterwards, return to the hotel and enjoy time for leisure. Breakfast will be at the hotel. Afterwards, transfer to the North Pacific Coast. Afterwards, transfer to the North Pacific Coast. 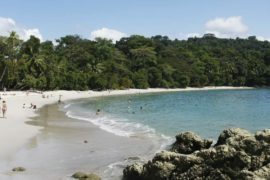 Enjoy the beautiful beach of Tamarindo. You will enjoy a two-night stay at your hotel. The beach was made to be enjoyed. Free time to enjoy the beach and the facilities of the hotel. Morning at leisure. Afterwards, enjoy a relaxing afternoon on board a catamaran. 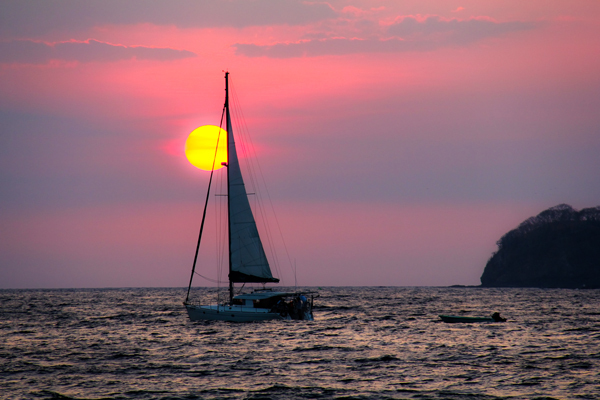 Light lunch, open bar, and snorkeling are included during this amazing sunset sailing experience. Afterwards, return to the hotel for your last night in Costa Rica. According to your international flight, you will be transferred to the international airport in Liberia. The iconic vibrant beach getaway for couples, families and singles to enjoy an unforgettable Costa Rica vacations in a privileged location. 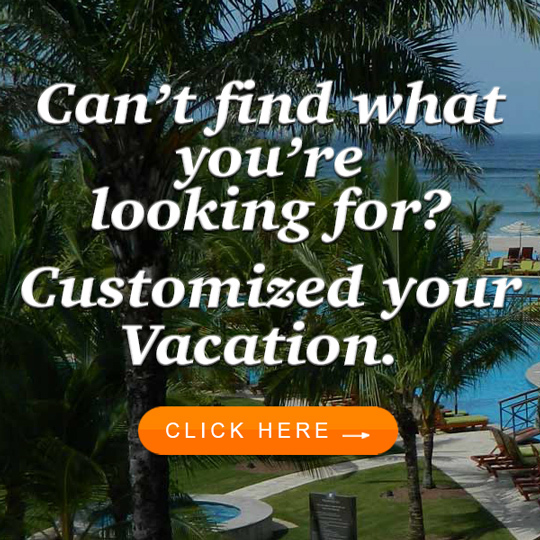 This genuine beach resort sits along a stretch of white sand beach and surrounded by lush green mountains and national parks, on the most famous Costa Rican beach: Tamarindo Beach. Continue the fun into the famous Tamarindo evenings with nightly entertainment, casino, outdoor bars and much more! Invites you to enjoy a real paradise, with the perfect balance between nature, service, simplicity and fashion. Mountain Paradise Hotel was built on 2006 with the vision of an entrepreneurial family from the province of Alajuela, who came to La Fortuna de San Carlos to turn their dream into reality, shaping this place with a small brushstroke from the colonial era of the country, with the latest technology. Great tour. Travel with my wife, daughter and son in law. We had a blast. La Fortuna was our favorite location. The zip lining was a real adventure. 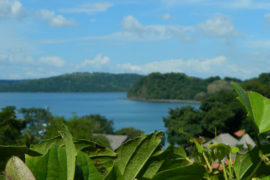 We’re bikers so we enjoy very much the combo tour with biking and kayaking at Arenal Lake. 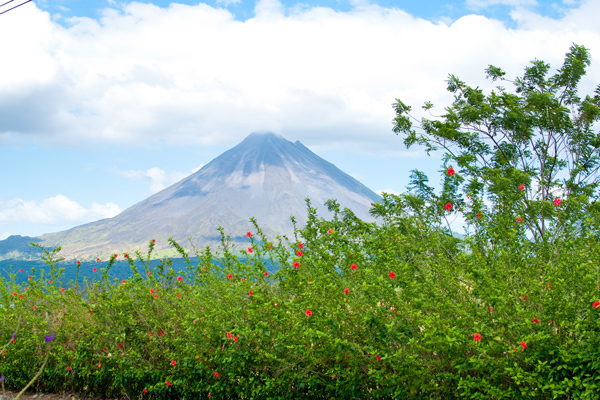 The presence of the Arenal Volcano was impressive. The beach of Tamarindo is also a welcoming location. We enjoyed the beach time and took surfing lessons. Even a massage at the beach for $30 per hour! Services were always on time and the guides were very knowledgeable and extremely nice. We’re ready to come back and explore other areas of the country. Thank you so much for putting such a great trip together! My family loved it so much, that we are considering going back!! My daughters made me do the zip line and it was so worth it! My favorite part was relaxing on the catamaran before heading out to the real world. Thanks again! !